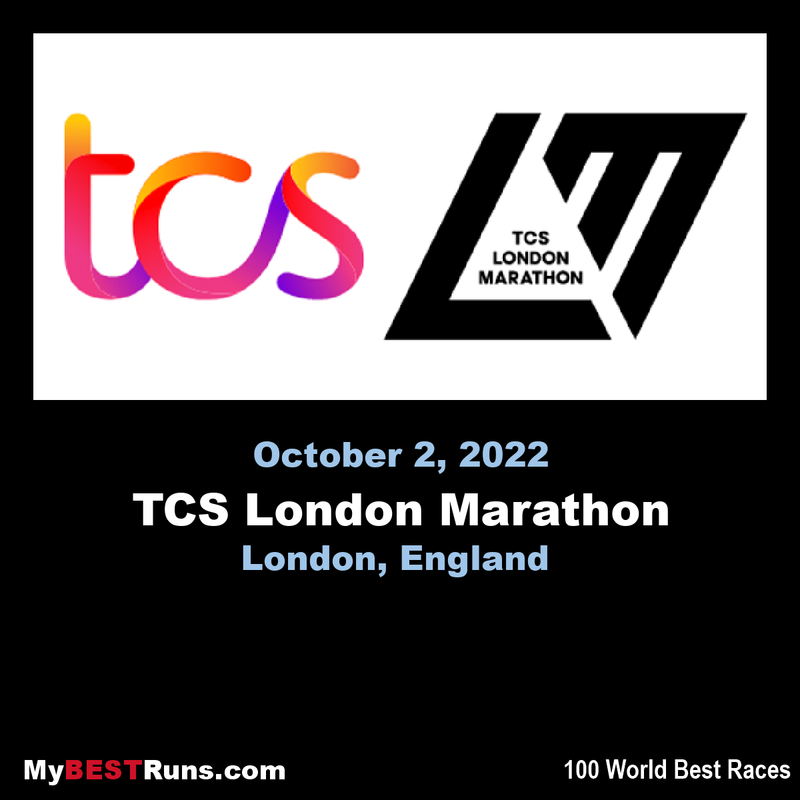 The London Marathon was first run on March 29, 1981 and has been held in the spring of every year since 2010. It is sponsored by Virgin Money and was founded by the former Olympic champion and journalist Chris Brasher and Welsh athlete John Disley. It is organized by Hugh Brasher (son of Chris) as Race Director and Nick Bitel as Chief Executive. 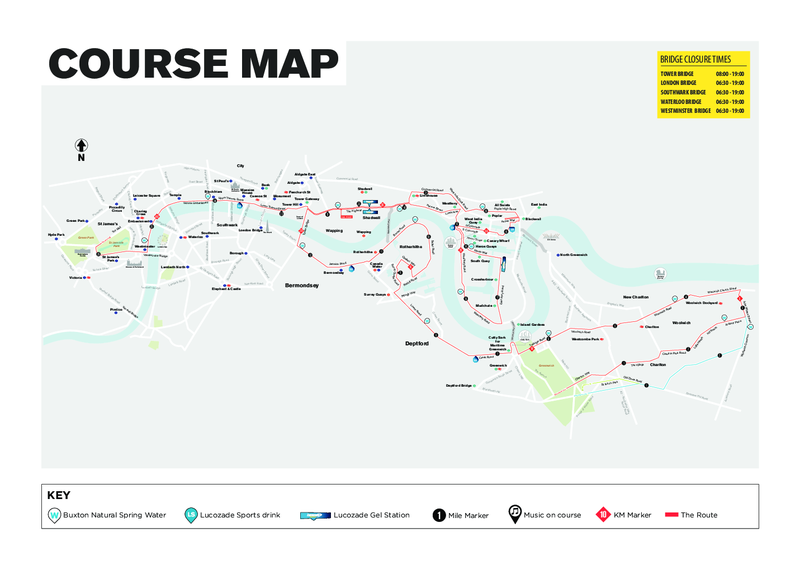 Set over a largely flat course around the River Thames, the race begins at three separate points around Blackheath and finishes in The Mall alongside St. James's Park. Since the first marathon, the course has undergone very few route changes. In 1982, the finishing post was moved from Constitution Hill to Westminster Bridge due to construction works. It remained there for twelve years before moving to its present location at The Mall. An amazing marathon, we run through historic London starting in smaller villages, crossing the Thames River over the Tower Bridge (without question the greatest structure I have ever run over, under or beside) through downtown (Canary Wharf) and finally end up at Buckingham Palace. 70% of the runners run for charities and care more about having a good time rather than a good time. incredible fan support (seemed bigger than NYC or Chicago) and people dress up in costumes to entertain the spectators. I have run many marathons and this is my favorite." 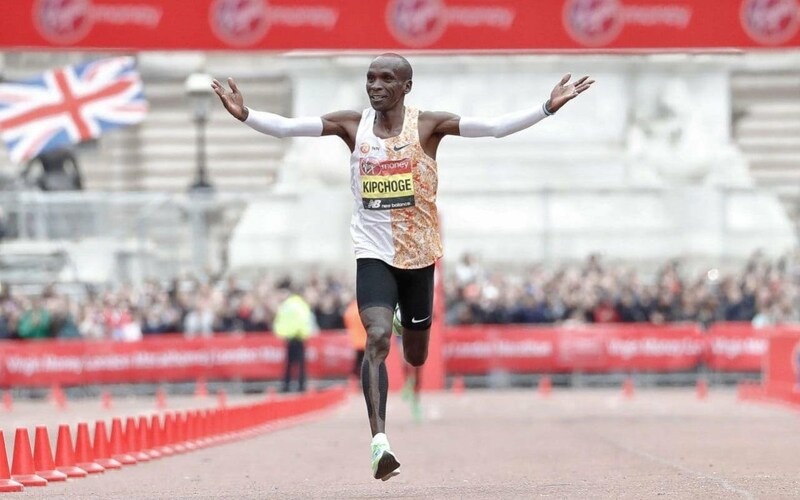 (2018) Eliud Kipchoge described his third Virgin Money London Marathon victory on Sunday as the greatest achievement of his glittering career as he looked back on a day when he was crowned king of the roads and sealed a third Abbott World Marathon Majors title. Kipchoge’s majestic performance at the head of one of the greatest elite fields in men’s marathon history was his ninth consecutive win and the 10th in his five-year-old marathon career. Two of those have come at the prestigious Berlin Marathon and one in Chicago, while two years ago he won what many regard as the greatest prize of all when he claimed an Olympic marathon gold at the Rio Games. But Kipchoge said today that becoming only the third man to clinch a London Marathon treble was his crowning moment. “This tops everything,” said Kipchoge. “Winning a third time in London and with a third Majors title at the same time is right at the top. Kipchoge’s performance was amesmerizing one as he ran at the head of the field for the entire 26.2 miles, barely changing his stride or veering from his course except to pick up his drinks bottles, his eyes set unerringly on the road ahead. He passed halfway in a record 61 minutes flat – a target set, he revealed today, at his request – and maintained an unrelenting rhythm towards the Finish Line as one-by-one his opponents fell away. By the time they reached Canary Wharf there were only two men left – the young Ethiopian, Tola Shura Kitata, and Britain’s big hope, Sir Mo Farah, who appeared at Kipchoge’s shoulder at 30km only to see the master move away with apparent ease. Kitata stuck to his heels for another five miles until Kipchoge shrugged him off too as they dipped into the welcome shade under Blackfriars Bridge. Not that Kipchoge paid either of them much attention. “If you want to run fast you have to run in front,” he said. “I didn’t sense Mo there but I saw him. But I was ready to do what was in my mind. As for going out at such a blistering pace on a baking day, for Kipchoge it was all just part of the plan. “I knew we couldn’t go that fast for the whole distance,” he said. “I wasn’t worried because I knew I would be OK.
Cheruiyot’s win was also a thing of beauty, albeit one of contrasting style, as she ran a perfectly judged and evenly paced race that eventually paid dividends when her world record-chasing rivals, Mary Keitany and Tirunesh Dibaba, hit the wall. Cheruiyot, who was fourth on her marathon debut in London last year, clinched the biggest win yet in her short marathon career when she crossed the line in 2:18:31, five minutes quicker than she’s ever run before. “I learned from last year to be more patient,” said Cheruiyot. “I went too fast last time and was totally kaput at the end. “This year I saw Mary and Tirunesh were going for the world record but I wanted to run a race I was comfortable with. In fact, Cheruiyot passed the half-way mark in fourth place in 68:56, a full minute and 40 seconds adrift of the leading pair, but stuck to her guns as she closed the gap and reeled them in. She finally moved into the lead with just three miles left, passing Keitany without a glance as she raced on to clinch her first Abbott World Marathon Majors victory and become the fourth quickest woman ever over the classic distance. As for Kipchoge’s future, he said: “My plan ended yesterday in London. For now, I’m blank. It’s my coach’s problem.